With our Follow Up feature you can thank guest and aware them of your business. Let's get started! Log into your Events dashboard at https://cloud.picpicsocial.com/ and click on 'Email Editor' like in the photo above. 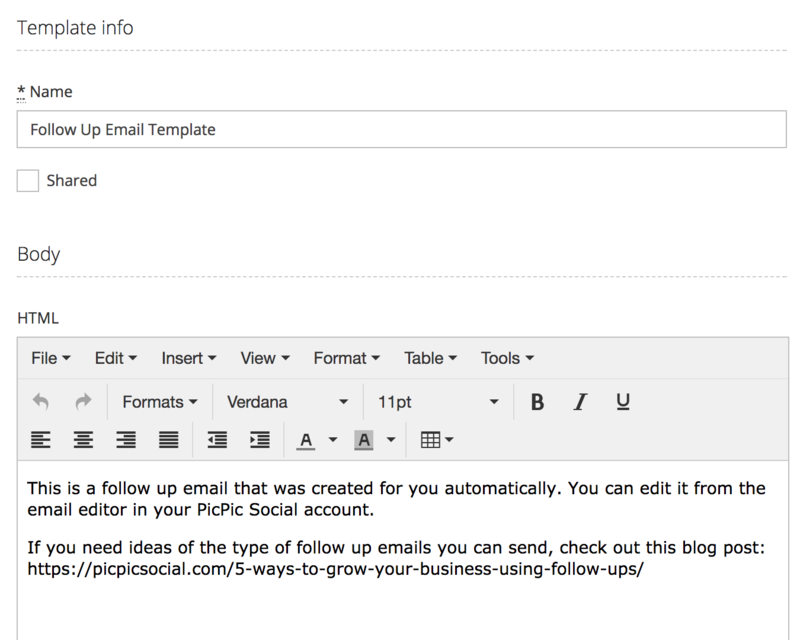 Click the Edit button next to the default 'Follow Up Email Template' to customize the template to your liking. You should now see the above email template. Please use this guide if you need more information on how to create/edit your template and add images if needed. Now that you are finished creating your Follow Up Email Template, go into your Events dashboard and select Action > Follow Up for the event you want to create a Follow Up for. You should now see the settings page where you are able to set the FROM NAME, FROM EMAIL, SUBJECT LINE and SEND TIME. After sharing at kiosk - Guest will get a follow up email immediately after sharing at the kiosk. 1, 2 or 3 Days after the event - Guest will receive a follow up email however many days you choose for them to get it after the day they used the kiosk. 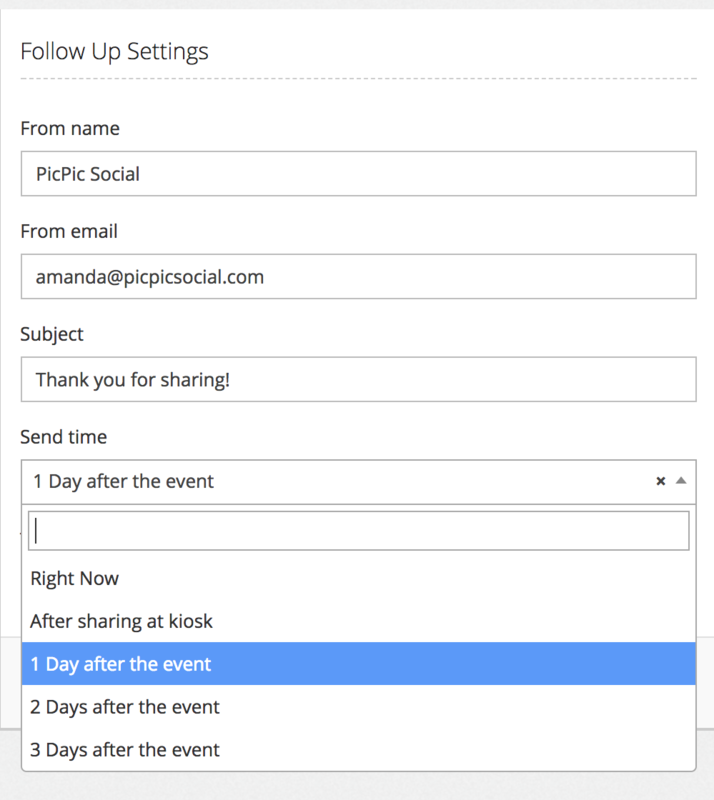 You can also choose to create the follow up email any time you want after the event has come to an end. You would choose the option 'Right now' for this to happen immediately. Last but not least use the 'Template' drop down menu to choose the email template you created and hit 'Update Follow up' to save your settings!